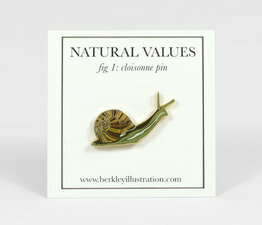 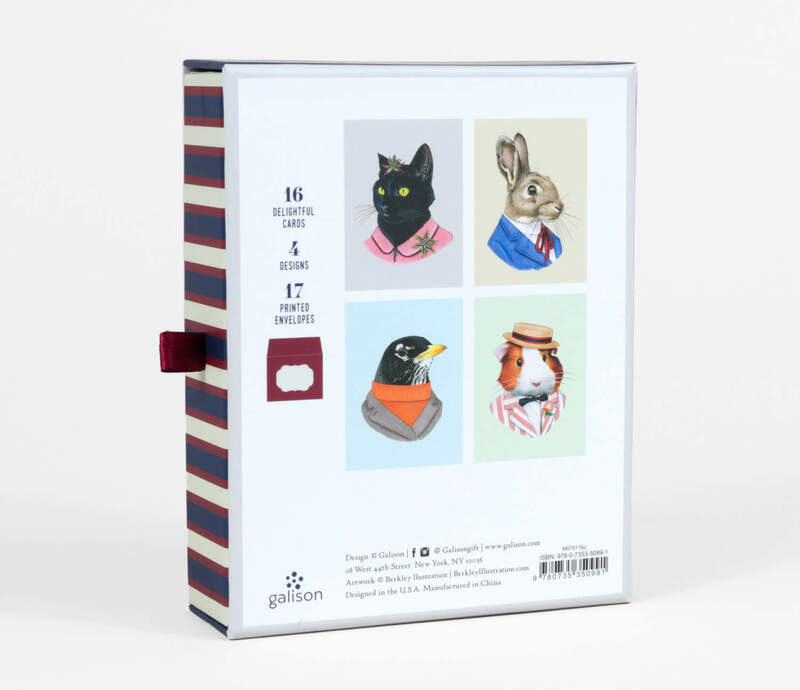 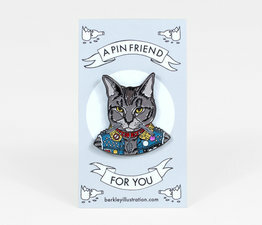 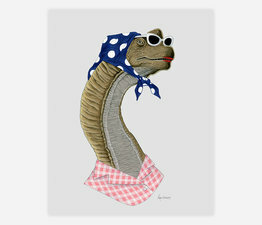 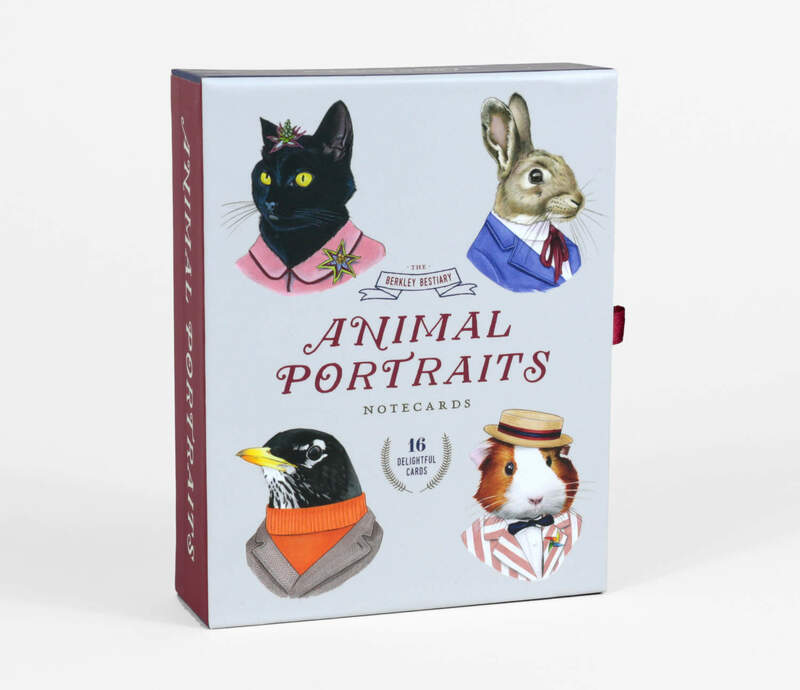 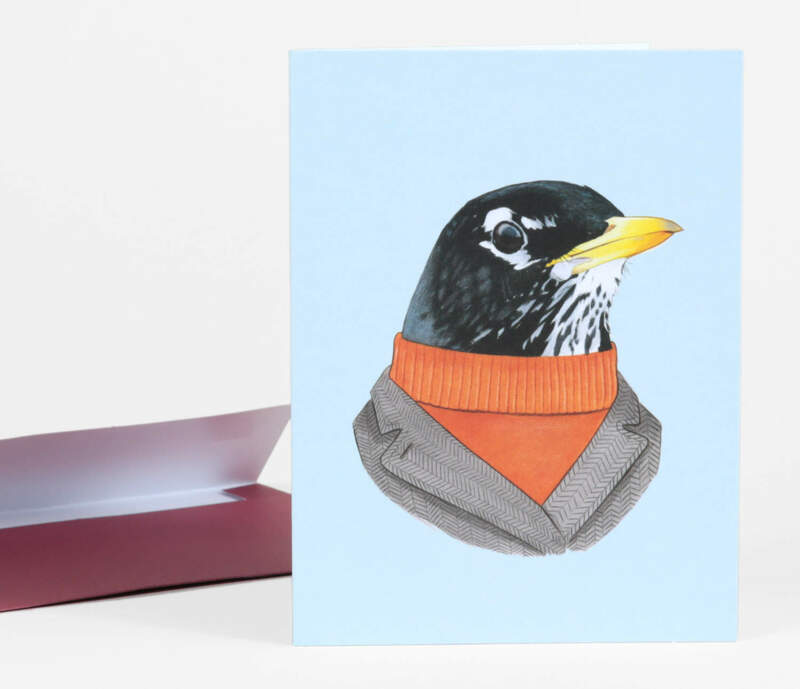 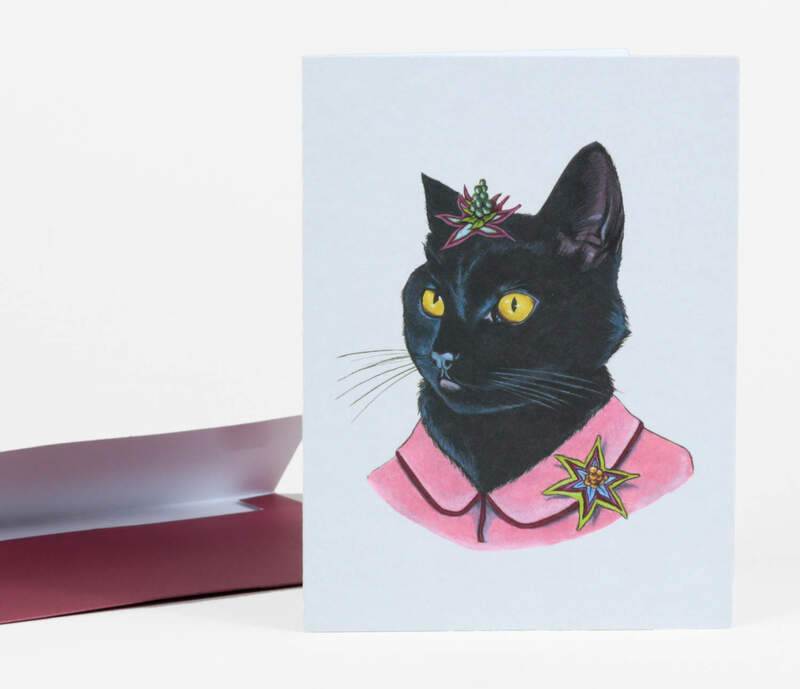 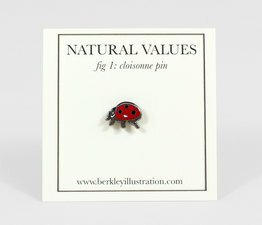 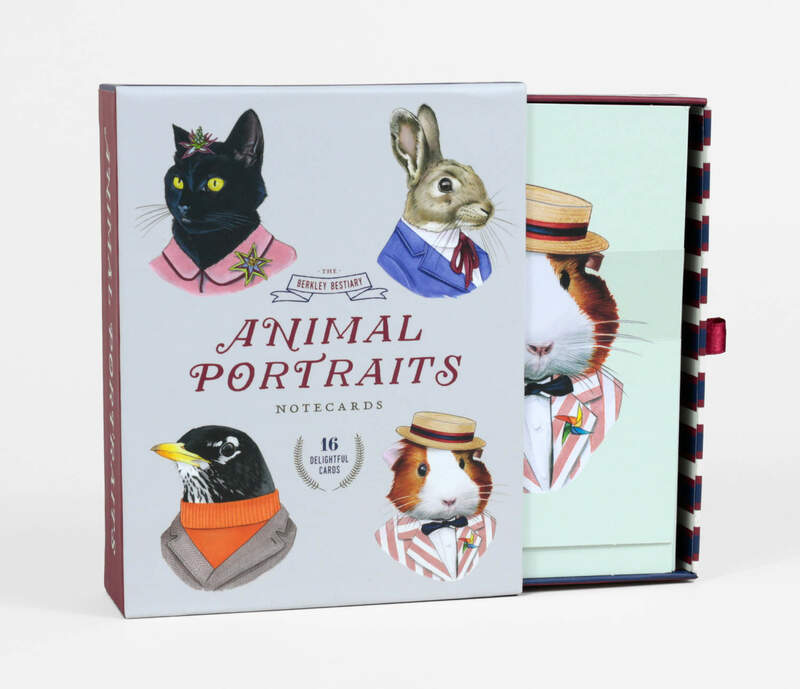 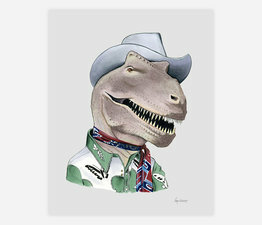 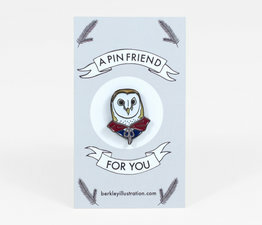 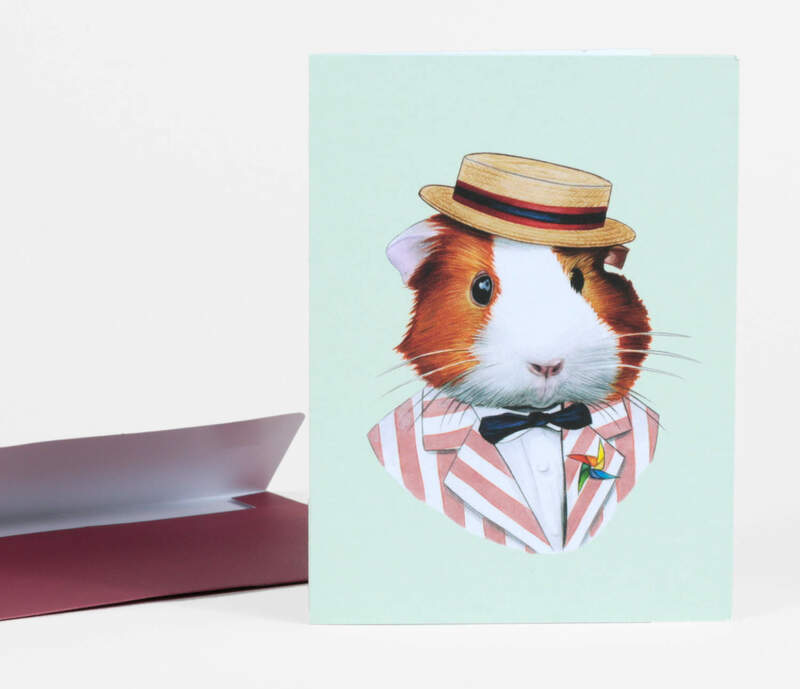 This set of 16 notecards includes four designs which feature quirky yet sophisticated animal portraits by Ryan Berkley of Berkley Illustration, along with humorous biographies of each animal by Lucy Berkley. 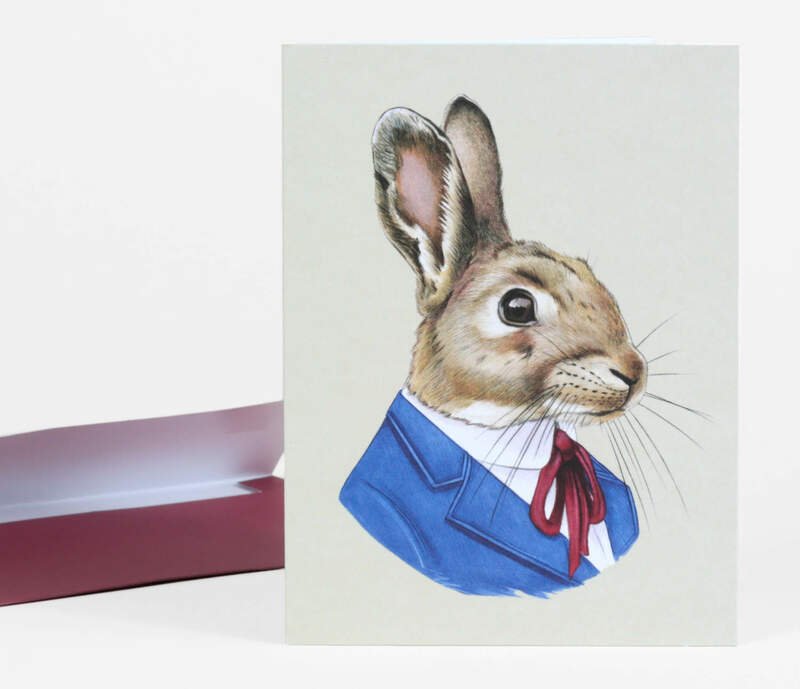 The set comes in sturdy box packaging which features a pull-out drawer with ribbon. 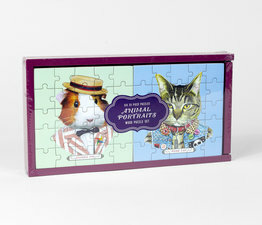 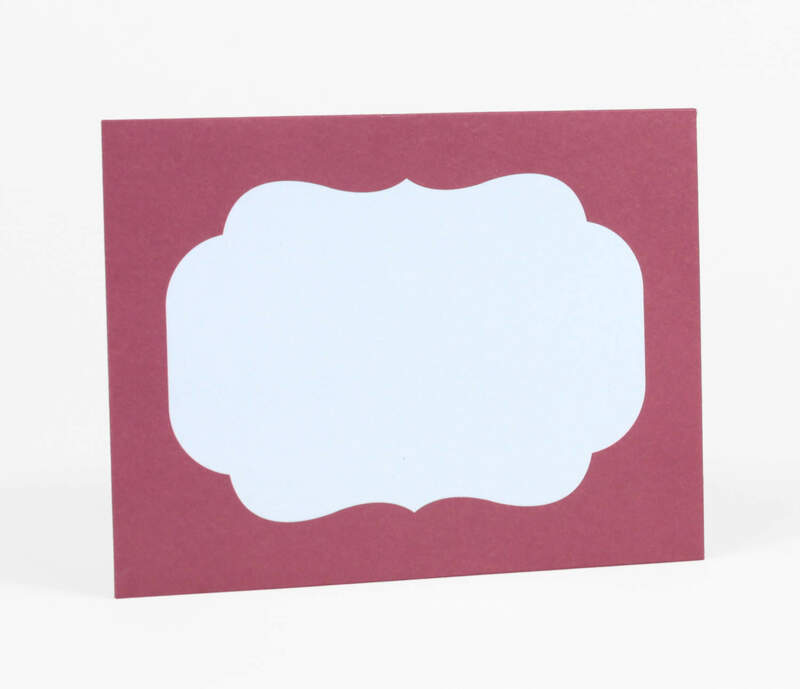 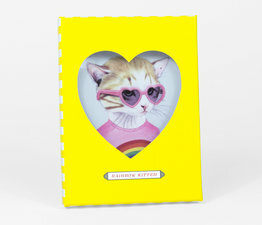 Includes 16 5" x 3.75" cards and 17 colored envelopes (one extra, in case you mess up).